The private jet charter industry is constantly growing, and is quickly becoming a new frontier for wealthy businessmen on the look-out for exciting opportunities. You might be asking yourself just why that is; what opportunity could be so interesting that it would cause so many successful people to flock to it? To put things simply, the amount of money private jet charter companies generate is rapidly growing. With more and more people able to buy into the idea of traveling by private jet, but not needing to deal with the high expenses of actually owning one, the industry is only going to keep expanding. 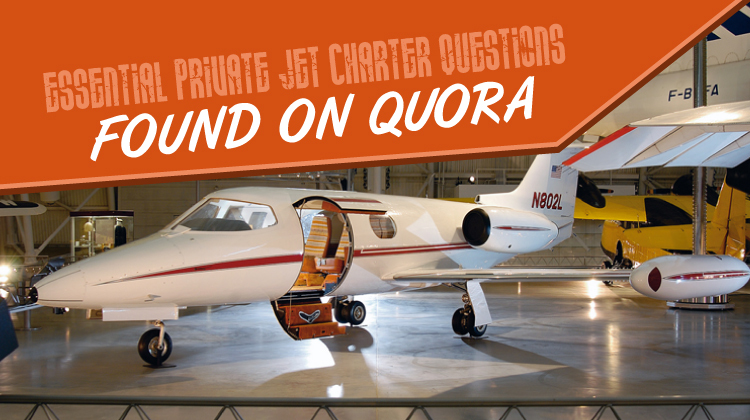 To help shed some light on the surge of interest in the industry, we’re going to take a look at some of the questions commonly asked on expert-level question site, Quora, about the private jet charter business. How hard is it to start a private jet charter company? This answer might come as a bit of a shock. It’s actually very easy to start a private jet charter company. The first and primary obstacle is sorting out the expenses. If you have the financial base, then you have what it takes to start a private jet charter business. The real challenge isn’t in starting one, but making it successful. What’s the best private jet charter company? It really depends on what you’re looking for, but thankfully there are loads of options to choose from, ensuring that you can get exactly what you need. What does it feel like to fly on a private jet? The plain and simple answer to this is that it’s awesome. Just awesome. What are the costs of owning a private jet? Anywhere from $1 million to $100+ million for acquisition, but you should also estimate spending roughly $1 to $2 million every year on maintenance and other expenses. What are the pros and cons of owning a private jet? The pros are pretty simple: flexibility, luxury, and comfort. The cons are as to be expected: money, money, and more money!